As soon as he enters the stage, his blissful smile, laughter and contagious happiness ignite audiences into jubilation. Fantuzzi's African-Caribbean roots and phenomenal international travel experiences meld into ecstatic, dramatic, transformational, interactive performances. 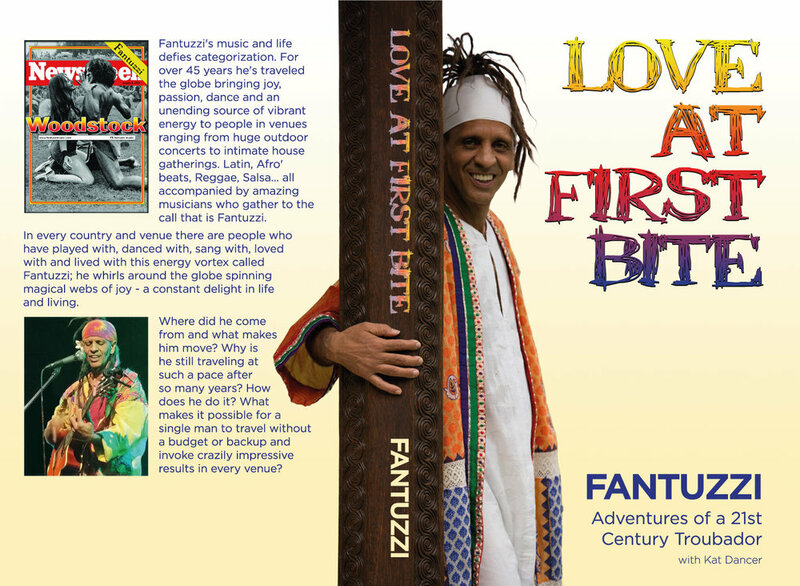 Fantuzzi's music is "Mystic Latin, Reggae, Afro-Funk" - infused with the energies and rhythms of Afro-Caribbean Nyabinghi, Latin Salsa, Merengue, African drums, Devotional Kirtan, giving voice to unique chants, soul-rich songs and electrifying sensual dance. Fantuzzi's best selling CDs include 2014's eclectic Ease & Grace, (labelled "Good Medicine" by Emanuel Lieberfreund, extraordinary Australian musician), the celebratory Tribal Revival and the uniquely ethereal "soul butter" of Divine Inspiration. A near-mythical creature whose natural habitat often manifests as a haze of ecstatic music, dance and joyous vibrations at conscious festivals around the globe... Fantuzzi is a world-class musical star, MC and workshop host who is charismatic, funny, sensual, super-energized and will definitely get you moving! A unique combination of spiritually inspired mystic rhythms, Latin, reggae, funk, and heart-songs, Fantuzzi's music is sure to elevate your soul and move your body! Ease & Grace, Fantuzzi's 2014 release, is predominantly upbeat. Celebratory, soulful, spiritual, ecstatic, including spices of Latin, reggae, African rhythms and more, Fantuzzi takes us on a beautiful global journey carried in the arms of 11 vibrant songs. Tribal Revival includes support from Santana's rhythm section, Divine Inspiration is described as "soul butter". Fantuzzi's music is eclectic, enervating, joyous and infectious. He has played with Bob Dylan, Paul Simon, Stephen Stills, Billy Preston, Richie Havens, Babatunde Olatunji, Bob Weir of the Grateful Dead, Cedella Marley Booker, Taj Mahal, Joe Higgs and many more. In 2013 Fantuzzi travelled throughout Asia, to his seventh Kumbh Mela in India, to the Philippines, Bali, Australia and to Europe, sharing workshops on drumming, body percussion, rhythm, sweet heart-songs and outrageously powerful all-out performances with full band. Meet the man that Newsweek Magazine featured on its cover to symbolize the original 1969 Woodstock Concert. Fantuzzi tours extensively in the USA, Caribbean, Europe, and beyond. Upon invitation he will MC or perform at private events or for world audiences. Fantuzzi began performing at the age of twelve in an off Broadway production, Shakespeare’s “A Winters Tale” in the 1960’s. In the 1970’s he performed in Greenwich Village, New York City. In 1971, as Music & Dance Director of “The Rainbow Gypsies”, he toured the world. From 1973-76, he again took a show around the world with a theater, music and dance group called “The Butterfly Family”. Fantuzzi’s song “Gemini Twin Star” was the title song for the motion picture of the same name. His song “Lost and Found” received the “Song of the Year Award” for contributing to the Uplifting of Humanity at the 1979 Los Angeles World Symposium. Fantuzzi created a music video to the title song of one of his albums “One Earth One People”. His music has been used in the sound track of the documentary “Stand-Up and Be Counted” as a solution for global survival. Fantuzzi has appeared on numerous movies and shows including National Television’s “Eye on LA”, featuring on their “World Beat Special". He opened for “Third World”, and is friends with Ram Dass and the late Timothy Leary, and many other fascinating leaders in the higher consciousness spiritual movement. Fantuzzi dedicated 1989-91 to the “One Earth One People World Tour”, contributing to the vision of Peace on Earth by the millennium. During this time he performed in Hawaii, Jamaica, Puerto Rico, Canada and throughout the East and West Coasts of America, including several special events attended by over 25,000 people. 1992 to 2000 saw Fantuzzi on the “Save the Earth Tour and World Peace Pilgrimage,” dedicated to Eco-Sustainable Solutions and Indigenous Peoples, on which he toured to Hawaii, Bali, East and West Coasts of America, Brazil (to the Earth Summit on the Environment), Morocco, Australia, England, France, Spain, Holland, Mexico, and Guatemala. An ecstatic, expressing the transformation happening today, Fantuzzi is an Ambassador of Joy and a Global Troubadour who continues to perform, bringing love and inspiration to tribal and musical gatherings around the world. For a deeper understanding of Fantuzzi's amazing life, mission, music, and career you'll want to buy his new book, Love At First Bite! A fascinating journey, Fantuzzi's autobiography will take you inside his colorful world, touching your soul with inspiration and delight. Hard copy versions of the book were released in early 2017, and Love At First Bite eBook versions are available in our music store. Fantuzzi's music album Divine Inspiration is filled with original song classics like Wholy Holy and Calling For Love. 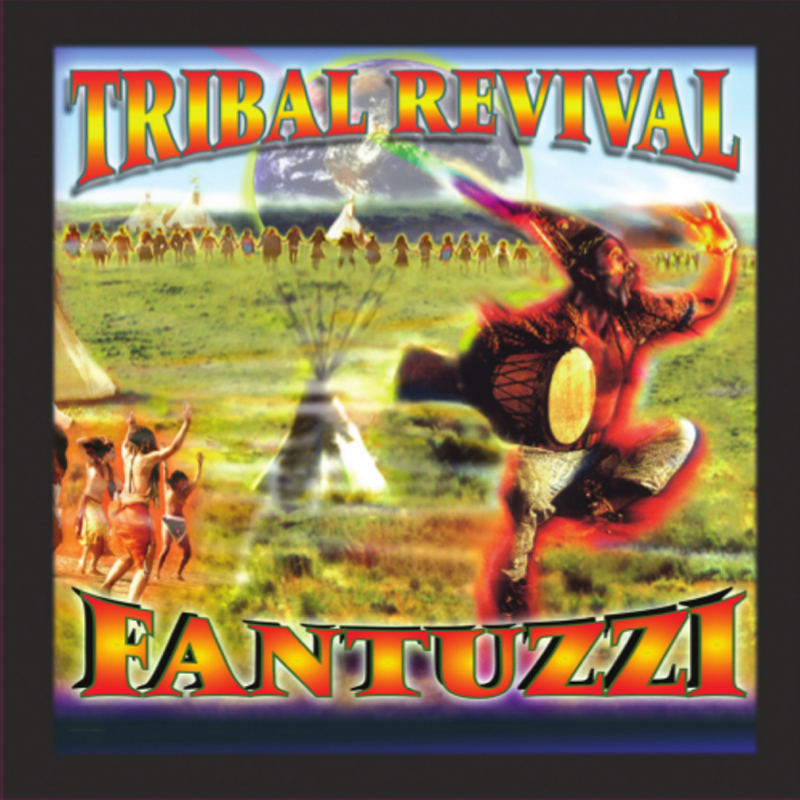 The music album Tribal Revival by Fantuzzi was his first album and features song favorites such as Hemp Hemp Hooray and Salsa Reggae.